Initial examination, records and scans are done first. It usually takes 3 to 4 visits to fit in your new set of teeth. After surgery your new bite is recorded. On your consent and approval the try-in set of teeth is processed to the final stage. 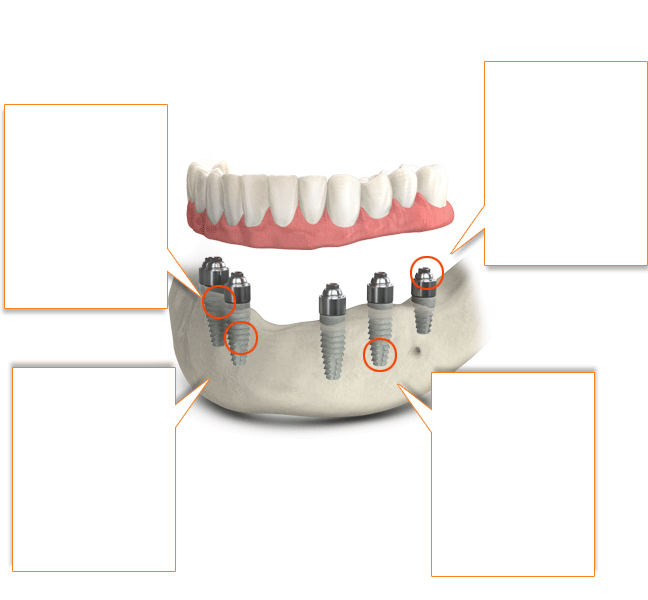 These steps are crucial for determining that no subsequent problems arise once the implants and prosthetics are fitted.